Alimony is one of the most hotly contested issues in divorce cases. In my experience as a Jacksonville divorce attorney, alimony is also one of the most difficult issues to litigate. Unlike child support payments, there is no set formula to determine how much alimony should be awarded, assuming an alimony award is appropriate at all. The most contentious cases usually involve permanent alimony. Permanent alimony is available following a long term marriage when other forms of alimony are not appropriate. Under Florida law, a marriage is considered long term after 17 plus years. Although it’s called “permanent alimony”, the term is misleading due to the fact an award may be modified or terminated based upon a substantial change in circumstances. However, if circumstances don’t change, permanent alimony can continue for life. A Florida group called Florida Alimony Reform (Florida Alimony Reform does not exist in its prior form) is spearheading efforts to reform Florida’s alimony laws with a particular focus on permanent alimony. According to FAR, Florida’s alimony laws are stuck in a 1950s “Leave It to Beaver” paradigm where the husband is cast as the primary breadwinner and the wife as a stay-at-home mother with limited career prospects. 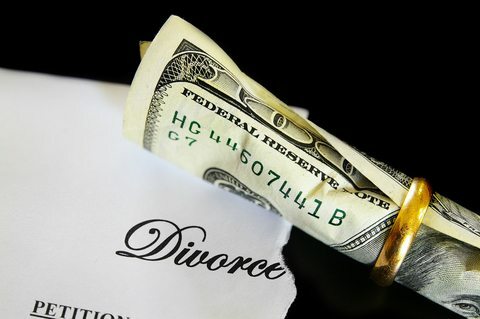 FAR argues that permanent alimony causes financial entanglement between divorced spouses long after a marriage has ended, discourages spouses receiving alimony from remarrying or improving career prospects, and places a lifetime burden on the paying spouse. FAR cites examples of healthy spouses (most often women) in their 30s and 40s receiving permanent alimony with ample time to retrain and improve their career prospects. 1) Create a presumption of no alimony in “short term” marriages lasting less than 10 years. 2) No presumption of alimony in “mid-term” marriages lasting 10 to 20 years. A mid-term marriage spouse would be required to show by a preponderance of evidence a need for alimony. 3) There would be a presumption of alimony in marriages lasting more than 20 years; however, there would be a set formula limiting alimony payments. 4) Imputes income to spouses receiving alimony based on past recent employment. 5) Allows for termination of alimony when the paying spouse reaches the Social Security retirement age. For more detail than described above, please read the original filed version of Florida House Bill 231. Do you support alimony reform and the efforts of FAR? If you do, please contact me at the given email address. I look forward to hearing from you. Anyone who can not see that there has to be a time limit on alimony has no idea what it feels like to given such a demand. Truth is it is men who suffer for years after divorce dont have any rights in florida. It’s a safe bet there will be a new alimony reform bill next year. Alimony reform is long overdue. It is fairer to all parties to have guidelines so that Alimony can work just like child support – a fixed formula with a fixed duration. No one fights about the amount and term of child support. Why should alimony be any different? To me it’s a complex issue without a lot of easier answers. In many ways it’s more difficult for a practicing divorce attorney to take a stand on alimony, because I see both sides of the issue. It’s hard to view alimony reform in black and white terms, because each situation is different. A person in good health who receives permanent alimony at 39, with the ability to obtain job skills, is different from a person who receives at permanent alimony at age 55. With that said, I do agree with provisions that make it easier to terminate alimony when the alimony payor reaches social security retirement age.